are selling well at the Hundred Years Gallery, where two music/films from Diversions were shown recently. Now released: River from the new music/film Diversions, also Cityzens, Machines (Start) - an extract. 1. Audiovisual Rhythm, 2. 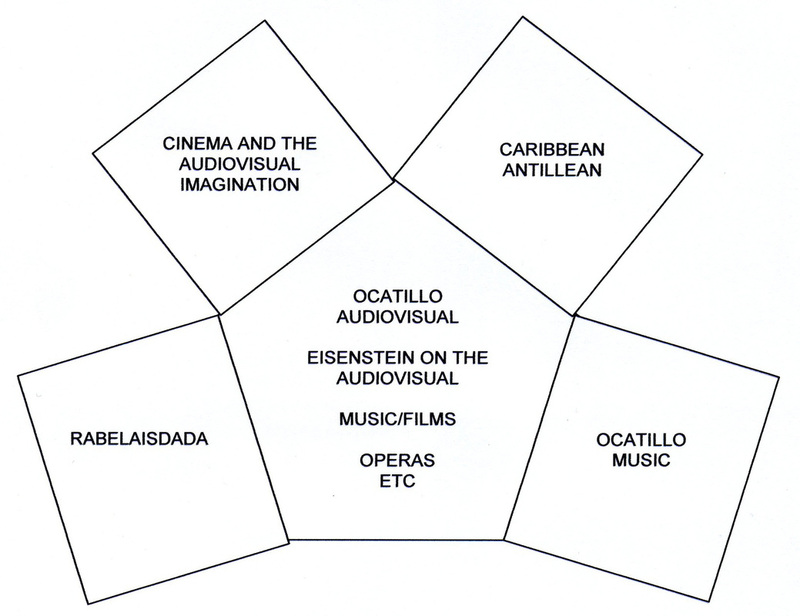 Eisenstein's Audiovisual Attractions, and 3. Audiovisual Perspectives. See the author page (US), and/or the author page (UK)​​. Robert Robertson is a composer and filmmaker. funded by the David Lean Foundation. Composer of the operas The Kingdom, The Cathars, and Empedocles, his music/films include Oserake and The River That Walks, I’m Back, Doors of the Spirits, Trace Elements, Assault on Time, Invisible City, Victoria Tenebrae, and the Diversions Trilogy. a line for a walk. I take an idea for a walk. for all who think as a result of doing. enjoy taking their ideas for a walk. ﻿‘We had no hesitation in choosing the winner. Robert Robertson achieves the near-impossible, shedding fresh light on Eisenstein without loading him with ideology.